The Medicine Hat Tigers are 2-0-0-0 on their four-game road trip after defeating the Kootenay ICE Wednesday 6-3 and the Everett Silvertips 1-0 last night. Rookie goaltender Mads Søgaard earned his third career WHL shutout against the Silvertips, turning aside all 41 shots faced. Captain James Hamblin was the lone goal scorer when he redirected a shot into the net on the power play. The Orange and Black are 30-18-2-2 and they are led by Hamblin with 62 points (29G, 33A). 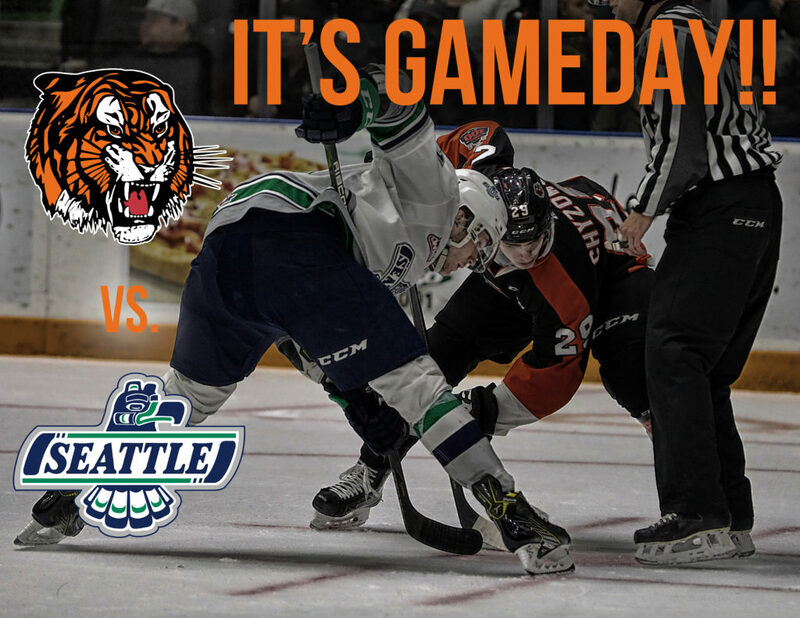 For the first time this season, the Tigers and the Thunderbirds will face off. Last season these two hockey clubs met once and Medicine Hat came out on top in a 4-3 overtime win Nov. 4th, 2017. Tigers veteran forward Hayden Ostir had a three-point night (1G, 2A) and earned the first star of the night. Over the past five years, the Tigers are 1-2-0-0 against the Thunderbirds. After splitting back to back games in Victoria against the Royals, the Seattle Thunderbirds returned home last night to host the Portland Winterhawks. The Thunderbirds fell 4-1 to the Winterhawks and veteran forward Matthew Wedman was the lone goal scorer for Seattle. Seattle is 20-26-5-1 and they are led by veteran forwards Wedman with 53 points (26G, 27A) and Noah Philip with 53 points (19G, 34A). Brett Kemp is a skilled offensive player with good hands and explosive first step. The 18-year-old Yorkton, SK native joined the Tigers at the trade deadline and he has scored 4 goals and picked up 3 assist in 11 games with the Orange and Black. Kemp has a high hockey IQ and he is patient with the puck. Look for him to make an impact in tonight’s tilt. Søgaard is also ranked 4th in the WHL among goalies with 2.24 GAA and 0.933 save percentage. He picked up his 3rd career shutout Friday night against the Silvertips.